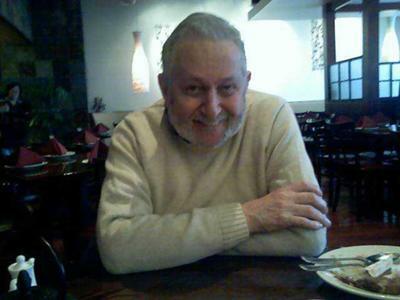 Edward J. Szabolowski Jr. (Sobel) "Buddy"
Loved Dad of Anastasia, Bridgit, Stefin, Aubria & Damien. Loved by Polish Grandparents Jacob & Johanna (Hanu) & Irish Grandmom. Also loved by many Aunts, Uncles & Cousins. You left us much too soon. We will always remember you & love you forever. Rest in Peace. Comments for Edward J. Szabolowski Jr. (Sobel) "Buddy"
As a child I remember you laughing when you use to see me dancing with the banister in our house on Addison St. You always got a kick out of it. And, I'll never forgot when Mickey was out of work, you hired him to help pave the roads you were doing. Said he was one of your best workers. You also got me into coin collecting at one point. I still have all those "wheaties". I remember, fondly, when you started college and got your 1st apt near 19th & Chestnut Sts. with Jim Cossi & little Danny. You let me & Kathy & Robi hang out with all of you. We felt "grown" to be hanging around college guys. You wouldn't let Little Danny take me out unless you went along with your date. You wanted to watch out for me. I remember mommy always making you special things to eat. I wanted the same--even though I didn't like them---only because you had them. I miss calling you on Saturday nights after Church and nagging you to take care of your health. I miss hearing you tell me you love me. I MISS YOU! I called your house phone last Saturday night just to see if your answering machine uld pick up. It didn't. It just rang. I think of you every day. You are always in my prayers. I love you Bud. Rest in peace in God's care. You left us much too soon. You were known by several nicknames. When you briefly worked down the waterfront with Daddy, they called you "Little Hawk." You referred to yourself as "Little Poleski" Daddy was "Big Poleski." I always told you that you were "the Prodigal's Son" since Mommy & Daddy always rolled out the red carpet & filled the table with your favorite foods whenever you visited. You would just smile that cute smile you had. I will always remember with great fondness all the summer weeks I spent with you over the years from when I was a little kid through high school. We talked on the phone a few days before your birthday (March 15), & as I always did, I told you "beware the ides of March." You laughed & said "I love you baby Sister." Then I told you I loved you in Polish & you said "you are more Polish than I am." Kocham ciebie i kocham ciebie na zawsze! Join in and write your own page! It's easy to do. How? Simply click here to return to loss of child.